Bright colors are perfect for Summer. Classic earrings are perfect for all Summer long, as well - they help dress up our most casual of looks...and keep us looking put together everywhere from swimming lessons to date night. The Caroline, oval dangle earring, is a great go-to earrings. They come in a rainbow of colors, and with 20 colors to choose from, we might own multiple pair. For Style Steals, they will be $7.95 each, and if you buy 2, you get 1 FREE! It's time to stock up on your favorite colors (or get a gift for your bestie). 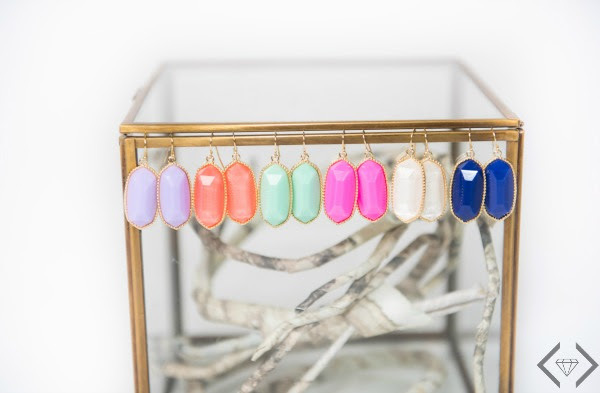 Style Steals - 5/18/16 - Oval Dangle Earring for $7.95 (& Buy 2, Get 1 FREE!) + FREE SHIPPING w/code CAROLINE16.